FONDY payment gateway allows accepting online payments on a website, in a web-store or mobile app using Visa and Mastercard. Supports more than 100 currencies. Every payment platform develops a payment gateway, sets up the classification and maintains support. A simple integration interface embodied in a Ctrl+C and Ctrl+V button will allow you to integrate payments without any programming languages. 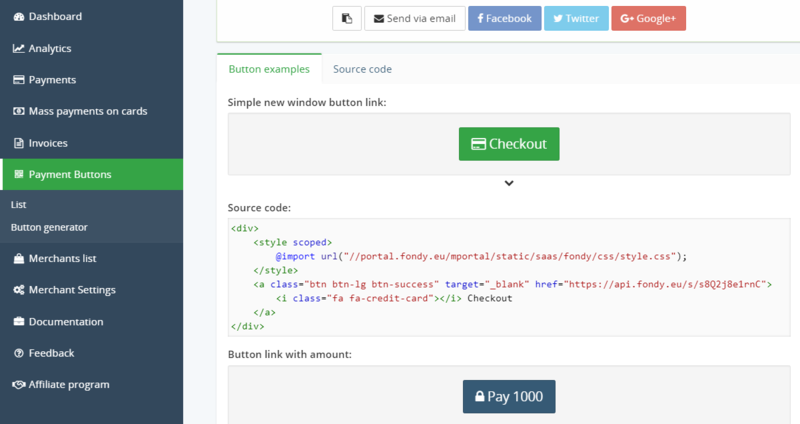 An easy integration of the payment system in the form of Ctrl+C and Ctrl+V button will allow you to easily integrate payments to a website or service. Simply use the designer in the control panel. The whole procedure is intuitive and does not require any additional technological knowledge. Fondy page is adapted for computers, Android and IOS. A client can make a purchase on a website using any device at any time. 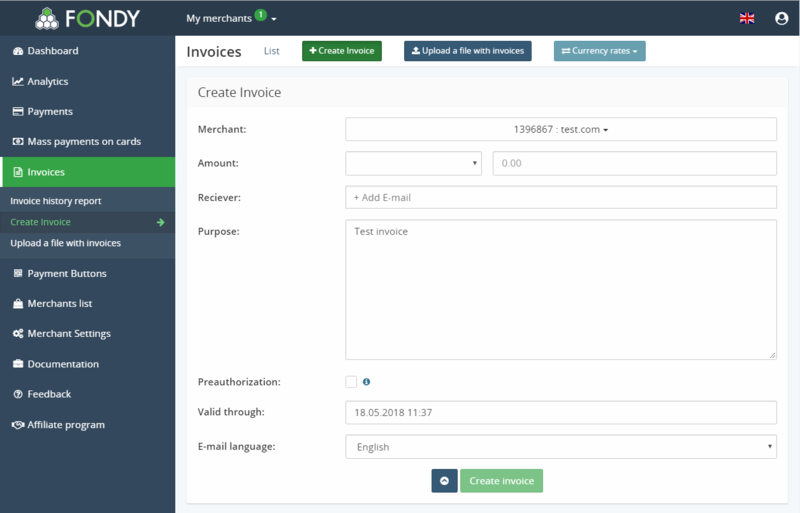 If you do not have a website and mainly sell in the social networks or are used to sending invoices to the clients by email, use the Invoices service. You can send an invoice to an email or send a link for a payment by any method suitable for the client: SMS, Viber, Telegram, Skype. You can also create multiple invoices by uploading the list of payers in the CSV format. Payment form This form is placed on the website, service or web-store. It includes the company identifier, payment sum and comments. After the activation the client is automatically redirected to the payment gateway. Payment page. Here the client sees the main information about the purchase. At this stage she can cancel the payment, authorize it or select a particular element of the menu. The payment system decides automatically, which data is needed to make the payment. Status pages. They are located directly on the merchant’s web-store, service or website. The client is automatically redirected to one of them if the payment was successful or failed due to any reason. The payments made via Internet acquiring Fondy are securely protected from fraud by FondyAntifraud system. More than 300 rules are developed to instantly reveal a fraudster. The system is flexible and protects the payments made from any place in the world. Constant improvement of FondyAntifraud leaves fraudsters no chance.